and define what family is really about! 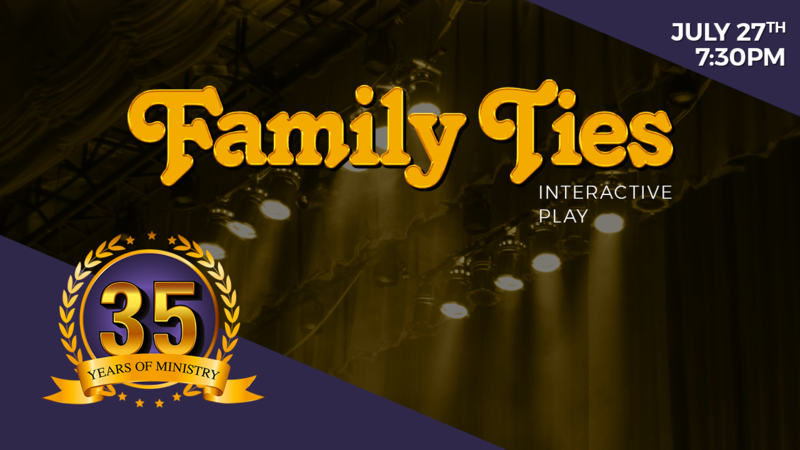 Family Ties escorts you straight into a room of laughter, skepticism and mystery and promises to be thought provoking, meaningful and give you another Ah-Ha moment. Seating is general admission. We are excited to welcome Pastor Leroy Bailey, III of the First Cathedral and their production team to be a part of our 35th Church Anniversary Celebration.